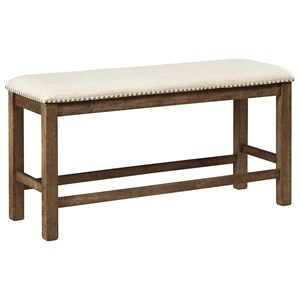 The Counter Height Bench w/ Upholstered Seat provides additional seating at your counter height table in your kitchen or dining room. A sleek and contemporary flair is evident in the long, tapered legs and slat back design. 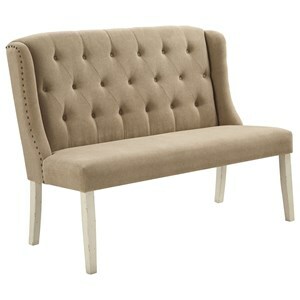 A soft upholstered seat provides the utmost comfort. 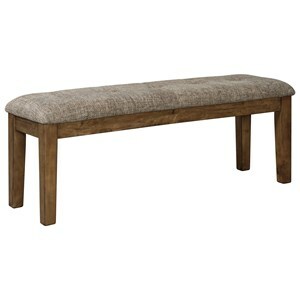 A great seat for intimate conversations and casual dinners, this bench will delight your home's interior for years to come. 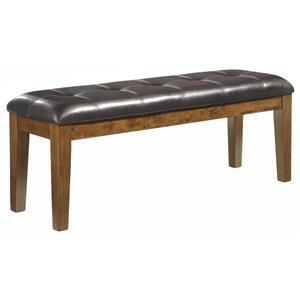 The Bakery's Cherry Counter Height Bench w/ Upholstered Seat by Jofran at Furniture and ApplianceMart in the Stevens Point, Rhinelander, Wausau, Green Bay, Wisconsin Rapids, Marshfield, East and West Madison, Wisconsin area. Product availability may vary. Contact us for the most current availability on this product. 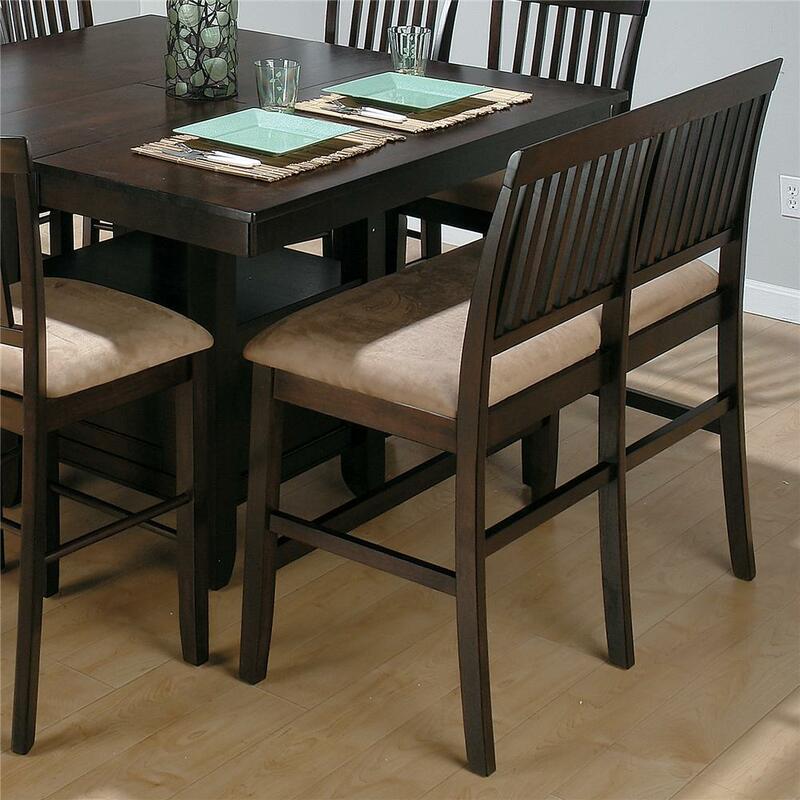 The Baker's Cherry Group is a beautiful and simply designed transitional group of dining room furniture. Each piece is carefully crafted for long lasting beauty. 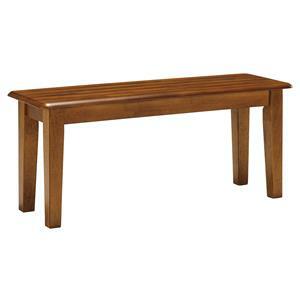 This group will be a wonderful accent to any home and will provide beauty and function to your dining room. 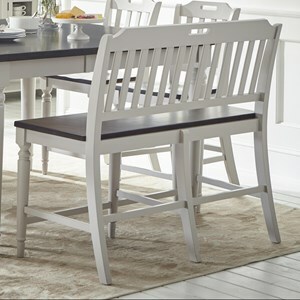 The design features a distinctive tapered back Counter Stool and a gorgeous Dining Server. 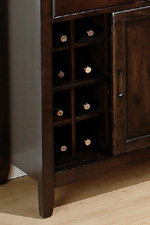 You will be pleased with the amount of design and function this group will bring into your home. The Bakery's Cherry collection is a great option if you are looking for Casual Casual furniture in the Stevens Point, Rhinelander, Wausau, Green Bay, Wisconsin Rapids, Marshfield, East and West Madison, Wisconsin area. Browse other items in the Bakery's Cherry collection from Furniture and ApplianceMart in the Stevens Point, Rhinelander, Wausau, Green Bay, Wisconsin Rapids, Marshfield, East and West Madison, Wisconsin area.